I'll end the month with two StreetView panoramas of Palouse Falls in Washington. Not exactly a roadside landmark, but not hard to get to, either. Amazing place that I'd like to see in person someday. 30,000 pounds of bananas? How about 7,000 pounds of lobster? Harry Chapin was an enormously talented singer and entertainer. He could be humorous, too; he write an entire song about the crash of a truck carrying 30,000 pounds of bananas outside of Scranton Pennsylvania -- an event that actually happened. "Authorities say the driver drifted off the right shoulder and hit an embankment, causing the truck to roll over. The driver has been hospitalized with minor injuries. The truck was carrying 60 to 70 crates of lobster, and traffic was backed up for hours as crews worked to clean up the crustaceans. Police say the lobster cannot be eaten because of how long it was unrefrigerated." So I guess the accident could actually be termed a lobster roll. Florida Representative Ron DeSantis is such a big fan of Donald Trump that he fancies himself as a smaller version of the Trumpster. And he has already got one aspect of Don's style down -- speaking in code. Oh yeah, he denies he meant anything by it. But it's appallingly obvious. By saying what he says, he gets the voters he wants not just to want to vote for him, but to actually think that he's like them. Sharing their values (if they can be called that), their beliefs, opinions, and especially, their prejudices. 'The last thing we need to do is to monkey this up by trying to embrace a socialist agenda with huge tax increases bankrupting the state. That is not going to work,' he said. But that's not all he said. Where have we heard that kind of phraseology before? If you don't remember, it was how candidate Barack Obama was referred to. So what DeSantis is doing here -- and don't worry, I'll support it -- is making the voters he wants think that Gillum is pretty much the same thing as Barack Obama, that he's a black man trying to act white (white people don't like that), and well, that he's not white, implying that he doesn't share the values of white people. An inarticulate kickoff, by the Washington Post's Eugene Robinson, written in 2007. "I realize the word is intended as a compliment, but it's being used to connote a lot more than the ability to express one's thoughts clearly. It's being used to say more, even, than "here's a black person who speaks standard English without a trace of Ebonics." Articulate is really a shorthand way of describing a black person who isn't too black -- or, rather, who comports with white America's notion of how a black person should come across." Or, to put it another way, it means "a well-spoken black man", by which it also means, most black people aren't well-spoken. Meaning they don't speak like us (the white people). Meaning that they speak a different language. Meaning that they are members of a different tribe, a foreign tribe, a tribe and culture that is not white and American. That's exactly what DeSantis wants his voters to think -- and by thinking that, they will have to vote for him, because he is a member of their tribe. But wait, I'll provide a second concurring opinion. “I heard that he’s ‘articulate,’ that ‘he performs well,’ … he’s checking off those boxes. Why do you have to describe him that way?” he said. "Doesn’t happen to a lot of white candidates," he added, echoing host Chuck Todd's comment. Steele is also black, and also successful. He can see exactly what DeSantis is doing. It's too bad we can't all tell him that trying to emulate Donald Trump is a very bad idea. But I'm hoping the Florida voters -- the ones that aren't in the Tribe of Trump -- will send DeSantis a message he needs to hear and understand. 1936 (light tower added to the 1907 fog signal building; station established 1872). Active: focal plane 52 ft (16 m); flash every 10 s, alternating red and white. 45 ft (13.5 m) square cylindrical steel-clad wood tower with lantern and gallery (1936) mounted on a 2-story steel-clad brick fog signal building (1907); 250 mm lens (1932). Entire building painted red. 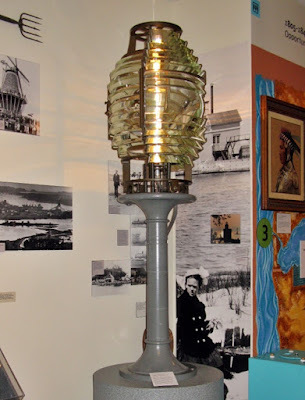 The 6th order Fresnel lens (1907) is on display at the Holland Museum. 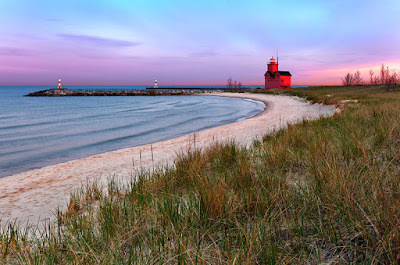 The second (1907) lighthouse was relocated in 1937 as the Calumet Harbor Breakwater South End Light in Indiana. The building was painted a buff color for the first four decades of its life; it acquired its trademark red in 1956. 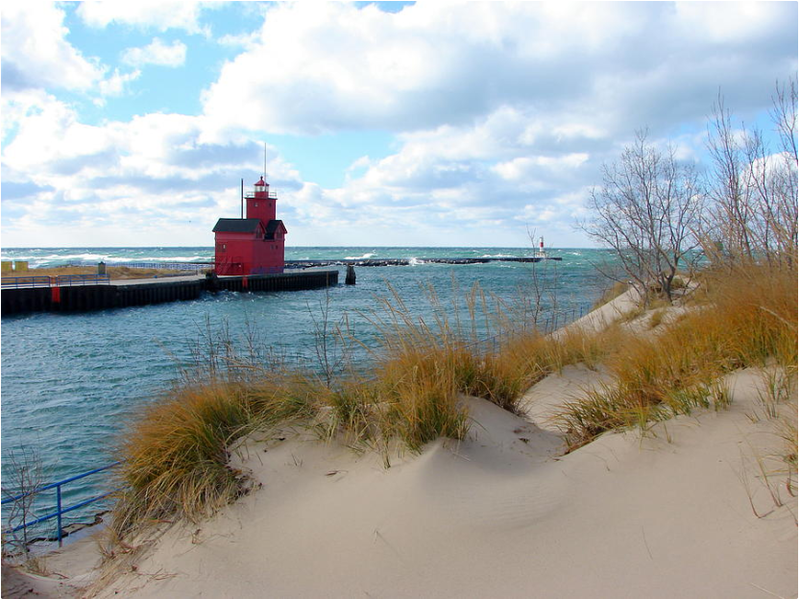 In 2005, the lighthouse was offered for transfer under NHLPA; the Holland Harbor Lighthouse Historical Commission was the only applicant. 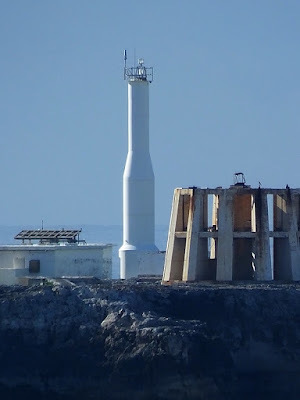 In February 2007 title to the lighthouse was transferred to the Commission. 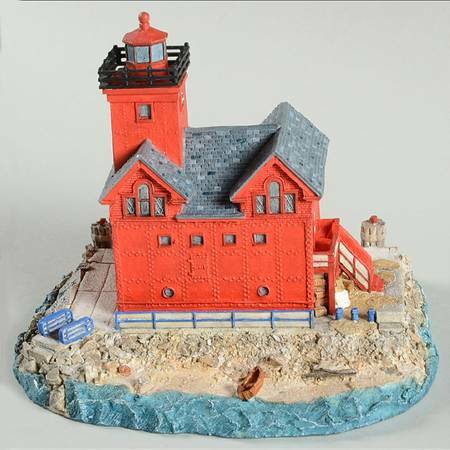 By 2012 the lighthouse had faded to Big Pink; it was repainted for free by Lamar Construction using donated paint and supplies. Located on the south pier at the harbor entrance in Macatawa, west of Holland. 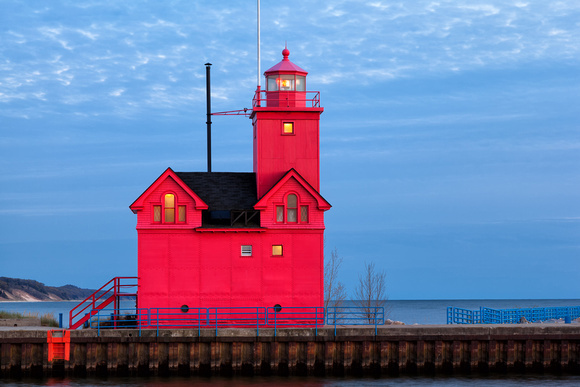 Big Red Lighthouse Web page from Holland, Michigan's Web site. In this case, the volcano is Sicily's world-famous Mount Etna. Put simply, there is activity in the summit craters again. Highway 41 and 27 are the same highway for awhile out of Williston. There isn't much in Archer, Florida, especially right on Highway 41, so I turned off for a block to look at the Archer Historical Society Railroad Museum. It must mention Bo Diddley, because this is his home town. Pretty spring flowers on the side of the highway. On the map it looks like you can drive to the High Springs Museum right here. But I don't see it. So instead, get something sweet at the Secret Garden Bakery inside the Wisteria Cottage. Since we're in High Springs, there's another famous springs just off the road, which we'll visit: Ginnie Springs. StreetView doesn't get close enough to see them from a road, so we'll use a couple of panoramas. First, Route 340 / South State Highway 236 does go by Poe Springs Park, but you can't see anything through the trees. What Ginnie Springs looks like underwater. (Didn't expect that, did you? Neither did I.) This is the big spring, the Devil's Ear. This is one place that you can do one of the world's most dangerous sports -- cave diving. Santa Fe River Bridge, just north of High Springs. Next stop - LAKE CITY! No, not that rash you've been worrying about. This is on the topic of volcanoes and Earth's climate. "Analysis of the simulations indicates that the Pacific features a significant El Nino-like warm SST anomaly 5-10 months after northern and tropical eruptions, with the Nino3 index peaks at the winter of next year. Compared with northern eruptions, the warm SST anomaly is mainly confined to the eastern Pacific with a stronger intensity following tropical eruptions. 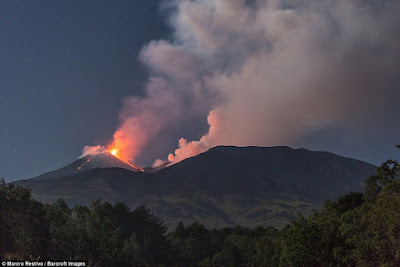 Following southern eruptions, the Pacific shows a weaker warming anomaly over the eastern Pacific and the time at which the Nino3 index reaches its peak is about 4 months earlier than that after northern and tropical eruptions." England is playing India in the third Test of their five-Test series, and unlike the last, close Test that they won at Edgbaston, this time they haven't done very well. They don't have any great batsmen, and that means they have to rely on their bowling, and if they can't get the best batsmen on the other side out, then they're sunk. Tomorrow (as I write this), they'll be sunk. They need 210 runs -- a lot -- and they're down to their last wicket. And when that happens it means their bowlers are batting, so 210 is pretty near to impossible. After this one is over, England is going to have to do some serious thinking about how to improve the batting of what's called the top of the order -- the guys who specialize in batting and not bowling. If they don't, they'll be sunk -- again. Here's the basic problem: in their first innings, India's star Kohli had 97 runs, and Rahane had 81. In their second innings, Kohli had 103 and Pujara had 72. In England's first innings, the most any batsman had was 39. In their second innings, Stokes had 62 and Buttler had his first "century" (over 100, he finished with 106), but after that, the best run total was 30. That won't do it. They need someone like Kevin Pietersen at his peak (but not when he wasn't). 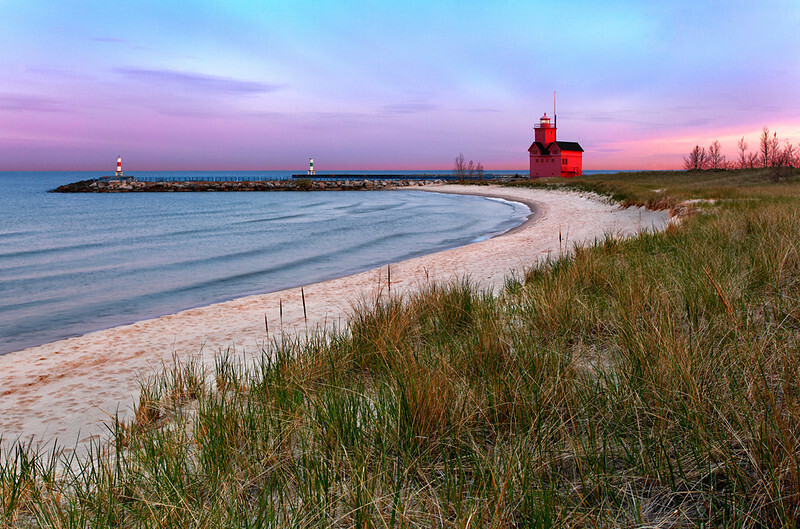 Another sonnet: "when the Earth moves"
that rise above what once were coastal sands. release this verse to quell my pining lust. Next stop on Highway 41 in Florida, heading north, is Williston, Florida. Here's Main Street, which is also Highway 41, of course. Here's what Devil's Den Prehistoric Spring looks like on the inside. 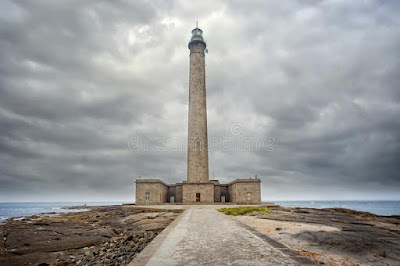 As you may have noticed, I feature a lighthouse from somewhere around the world as the Lighthouse of the Week. 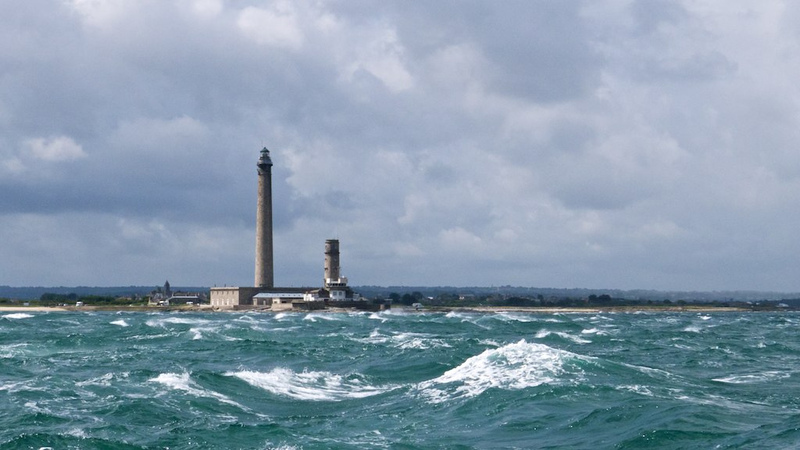 Lighthouses are unique features of the world's coastlines, and they commonly end up in extraordinarily scenic locations. 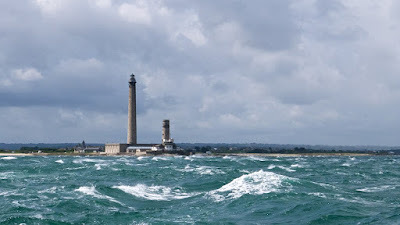 Here's one of the lighthouses in the article; I got a different picture of it. This is the Ko Sichang, aka Ban Tha Thewawong lighthouse, Thailand. I don't know if you've been paying any attention to the fissure eruption of Kilauea volcano in Hawaii, but if you haven't, after a few weeks in which a pretty large amount of lava was pumped out (by Kilauea standards, not necessarily what Mauna Loa is capable of), the fissure eruption waned quickly and shut down. 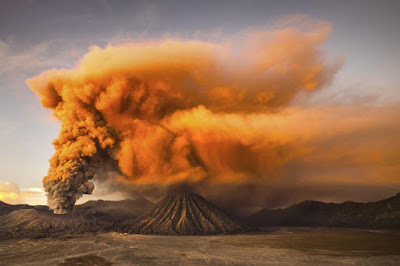 As each day passes, it's less and less likely that it will restart, which could mean the end of an eruptive sequence that began in 1983. It's been a very eventful run, and resulted in the destruction of many homes, the natural paving-over of a great black sand beach (that I visited a couple of years before it happened), and a couple of fatalities, unfortunately. 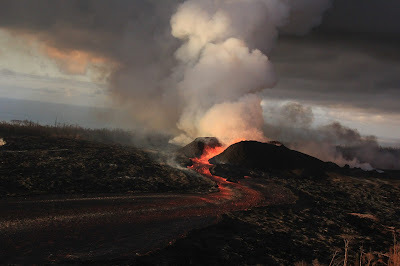 And it also provide a huge volume of volcano pictures featuring flowing, glowing fountains and rivers of lava, as well as chunky a'a flows, lava lakes and ponds, spectacular and varied ocean entries, lava bench collapses, and a lot of acidic vapors. I've collected several pictures, and to note the apparent (not for sure) ending, here's the Fissure 8 cone on June 30th, in full flow. 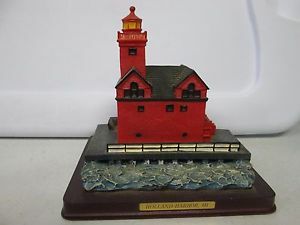 With the Little League Baseball World Series underway, and Major League Baseball is in the playoff run, this lighthouse (which I hadn't heard of before), seemed appropriate. 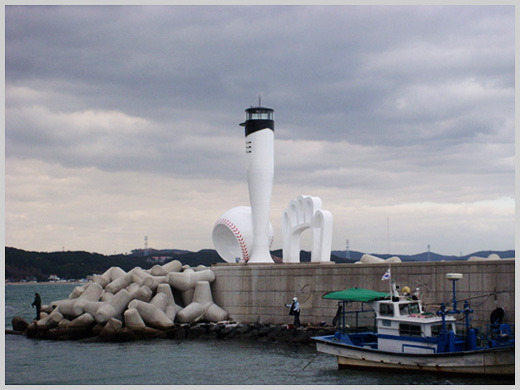 It comes from Korea, the world's home of creative lighthouses. 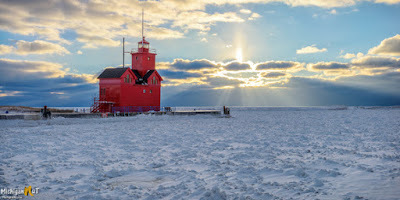 So here's what my guiding light (ha), the Lighthouse Directory, has to say. "2011. 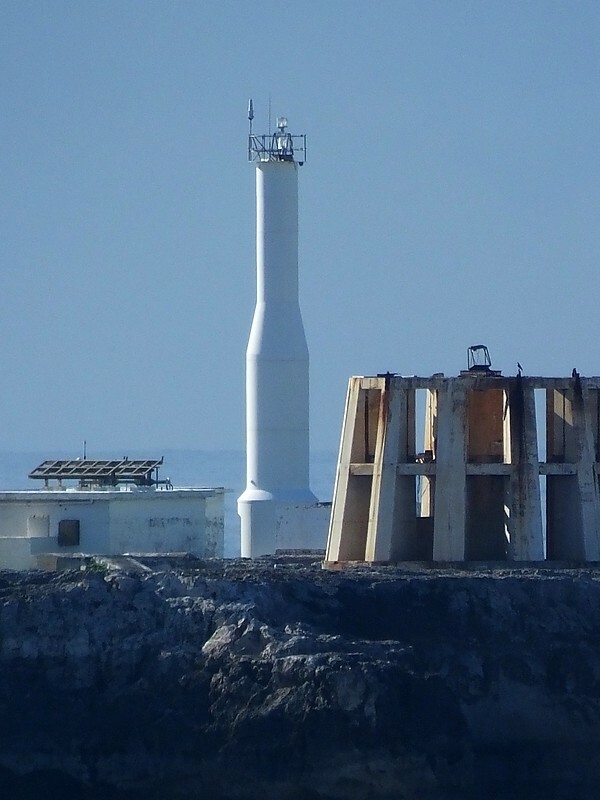 Active; focal plane about 11 m (36 ft); green light, characteristic unknown. Approx. 8 m (26 ft) round tower shaped like a baseball bat. Next to the tower are sculptures of a baseball and a baseball glove." All they need now is a gigantic box of Cracker Jack to go with it. When I saw her name, I thought I remembered writing something about her in my blog. And I was correct about that -- I did, way back in 2009. In this most recent article, she looks suspiciously like she's been pregnant for a few months, and fortunately for that supposition, she has a boyfriend who could have supplied the male contribution to the formation of the zygote. Oh, final thought: In that 2009 article, I linked to an FHM article about her, but that link doesn't work now. So I found what was in it elsewhere. Since it hasn't been officially announced, we'll just have to wait and see if an announcement is forthcoming. One thing is certain for Crystal Palace in this year's Premier League season. They'll win more games and score more goals in their first seven games than they did last year. 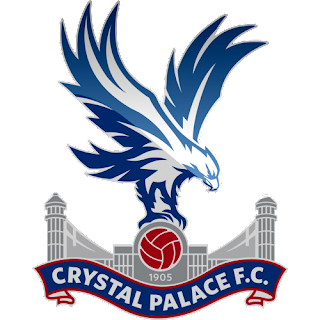 In the opening game of this season, they defeated Fulham by a score of 2-0. So they've won a game and scored two goals already. It's a step, at least. It has it's own Web page; if you mainly speak and read English, click right here. What are the important characteristics? 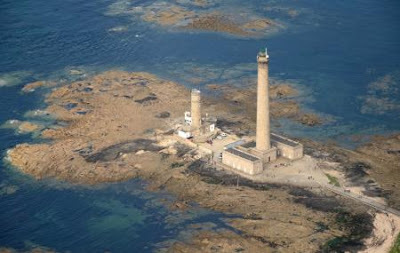 From this Web site, the significant information: "Built between 1829 and 1834, the Gatteville lighthouse is the second highest in France, with a height of 75 metres. 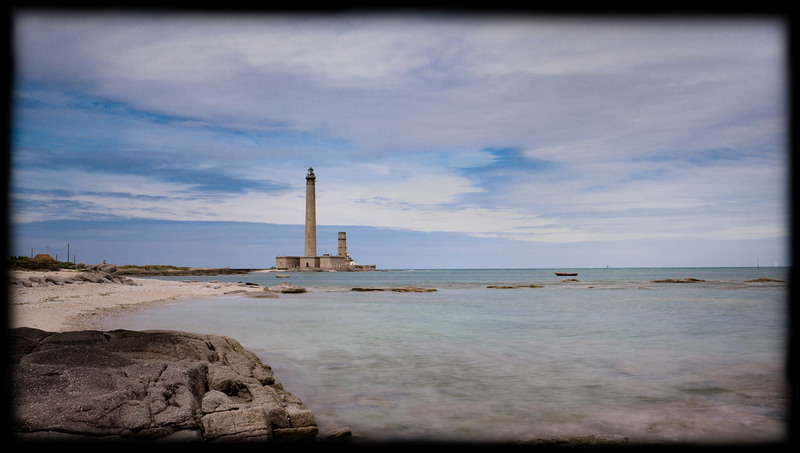 Climb the 365 steps and admire the magnificent panorama of the Saire as well as the English Channel." 75 meters is around 230 feet or a little higher, so yes, it's tall. There are videos, if you are interested feel free to search for them. Below are some selected pictures. North of Inverness, Florida, is Dunnellon, Florida. And there is a very interesting location really, really close to Highway 41 in Dunnellon. First, going into Dunnellon, we cross the Withlacoochee River. Just up the river from this crossing, the Withlacoochee joins the Rainbow River. Don't forget that. And here's a StreetView panorama of the swimming hole. 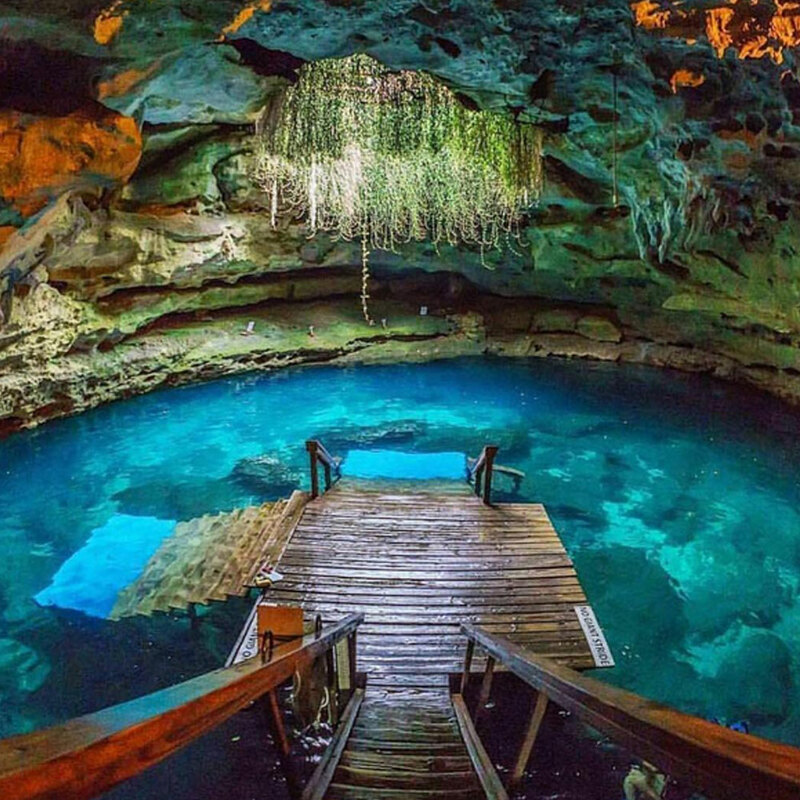 This is one of the most accessible of Florida's famous springs. There are more north of here. After cooling off in the swimming hole, the next stop is Williston -- and another spring. I'll get there quickly. Lindsey Morgan plays youthful engineering whiz Raven Reyes on the CW Network's post-apocalyptic show The 100. Below is how she appears in the role of Raven. 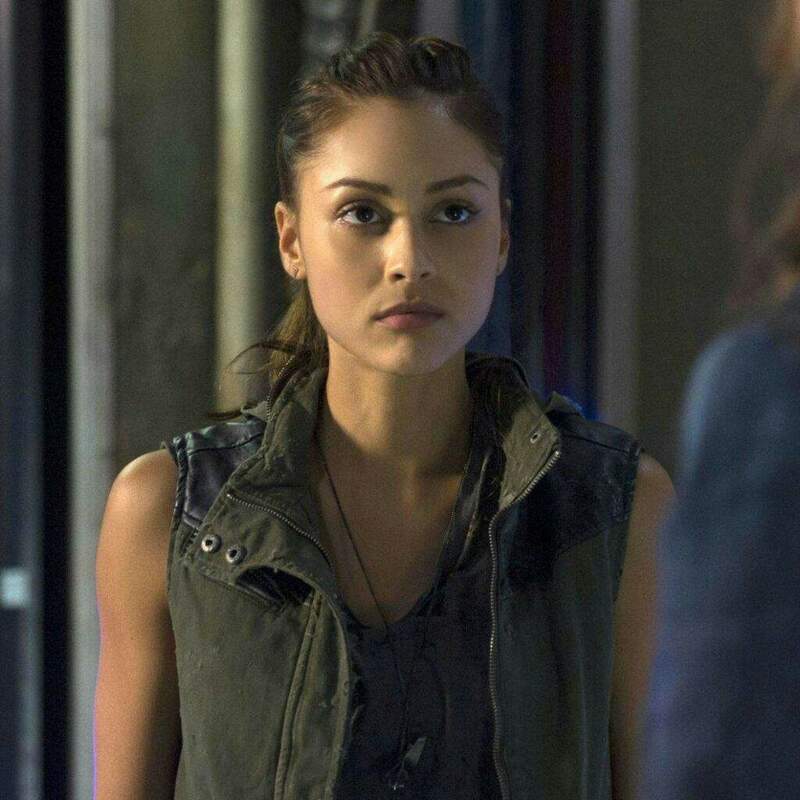 In this role, Lindsey's youthful sexiness, as well as her great smile, are not exploited to their fullest extent, which is probably in keeping with the tone and theme of the show, but which is definitely not taking advantage of all of Lindsey's attributes. Which is probably good for Lindsey's career, because it proves that she's more than just a great body and fabulous smile. Did I mention she has a curvaceous figure and stunning smile? Yes, I guess I must have. I admit never having heard of Bermuda fireworms. But apparently they spawn like clockwork. So they glow and they spawn with meticulous timing. And they live in Bermuda. What's not to like? Well, there would have to be, right? We know that there are numerous pieces of rock in space; ranging from dust motes to sand grains to pebbles to rocks to boulders to asteroids from the size of a bus to the size of a city. And it's a concern that some of the bigger ones might hit Earth and cause a problem, and potentially a catastrophe. We have reminders; fireballs in the atmosphere, impacts on the ground, shock waves in the sky, and the occasional mystery explosion over a U.S. air base. And meteors also hit the Moon, and those quick flashes of incineration can be seen from Earth. As I write this, the peak of the Perseid meteor shower is two nights away. Astronomers and amateurs will be watching -- and we'll all be reminded that the dust and sand and pebbles and rocks and boulders in space are out there. Here are some recent black-and-white glamour shots I found on Instagram. Obviously you saw what I did there. Cricket Tests can be anti-climactic. If one of the sides takes a big lead early, there isn't much drama unless something freakish happens for the other team. England has had some recent Test matches like that. Even in this format that can go five days, it's been obvious that the match was over by the second day. The most recent Test match at Edgbaston, versus India, was not like that at all. The basic setting was this; in the second innings (each side bats twice), England's top batsmen went out early, with low scores. But a valiant score of 63 by a newcomer named Sam Curran gave them a lead of 197 runs. This is pretty good, but not great, especially when India has a star batsman named Kohli that scored 149 all by himself during India's first innings. And at the end of the third day, Kohli was batting. England needed 5 wickets to win, and India needed 84 runs to win. So it basically came down to getting Kohli out. Do that, and England had a chance. If they couldn't get him out, then England would be toast before tea (well, that should be obvious). They got him out. The rest of India's batsmen couldn't rescue the game, and England won by a narrow (but not dangerously narrow) 31 runs. It was a good one. The next Test match starts on Thursday, August 9, at Lord's Cricket Ground. This lighthouse is located on a place that I've never heard of before. 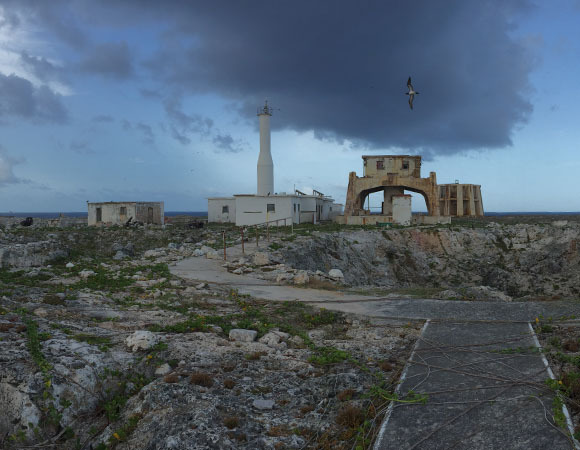 It's on Hat Island aka Sombrero Island, which is a bare scrap of land about 40 miles northwest (more north than west) of Anguilla. It happens to be defined as the northernmost island of the Lesser Antilles. It's not big. They used to mine for guano on the island, but that's not done anymore. There used to be a lighthouse keeper for the old lighthouse until they automated it (read about that here). 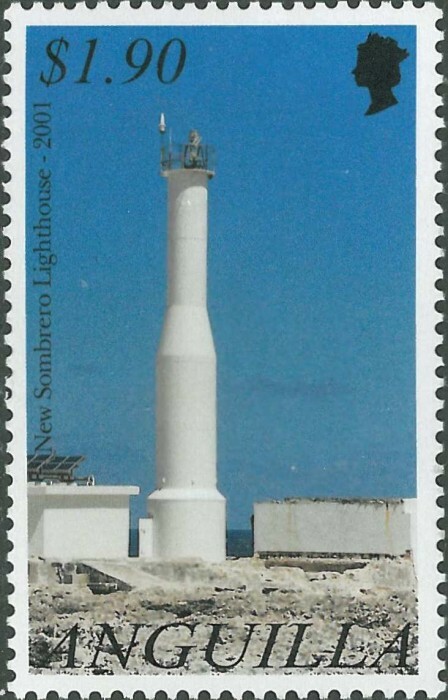 Now there's an automated lighthouse on Sombrero Island. Since it is so far from anywhere, these pictures are useful, because they are likely the only way that millions of people around the world will ever see it. There isn't much reason to go there -- I checked and apparently the reefs are good enough for scuba diving, but it's a long haul. "2001 (station established 1868). Active; focal plane 28 m (92 ft); white flash every 10 s. Approx. 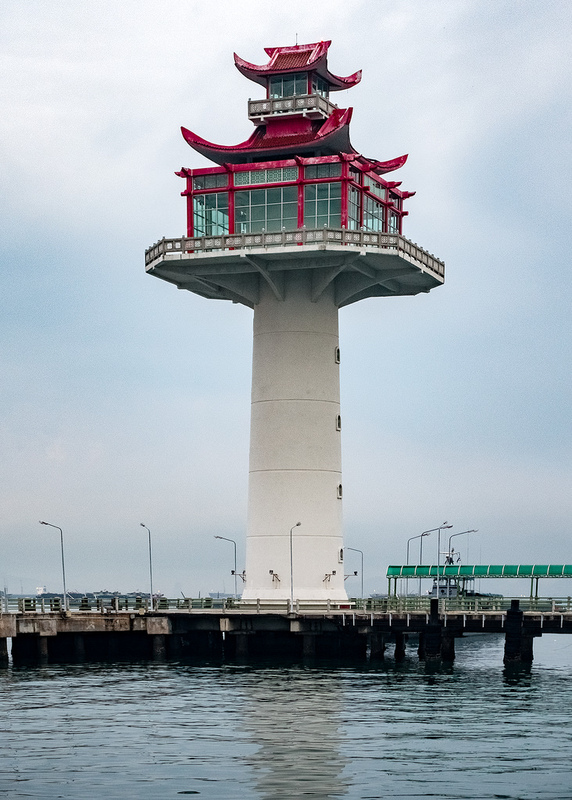 15 m (50 ft) round tower, painted white." 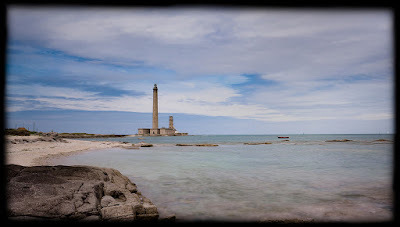 There are foundations on the island for both of the previous (1868, 1962) lighthouse towers. And some mining equipment. And that's about it. But the lighthouse is famous enough to have been on a stamp. be ever unaware we grok this night. Now that we're north of Tampa, Highway 41 goes through several small towns. There is an interesting area up the road a bit, but right now, let's go hamlet hopping. Masaryktown to Inverness is about 30 miles. It's hard to write sports posts about ongoing events because they get outdated pretty fast. As I write this, Day Three of the first summer 2018 Test between India and England is starting off quite close. 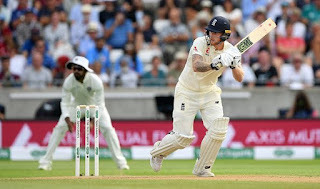 England only managed a modest 287 in their first innings, but a good defense meant that India only scored 274 in their first innings, despite their current star Kohli getting 149 all by himself. But ... Alastair Cook, one of England's main batsmen who is always in the first pair, only scored 13 in his first at-bat, and got 0 in his second at-bat at the end of Day Two. Not great for someone that needs to score more runs than that to give England a reasonable chance of winning. So Day Three, with England up, should be an interesting one. And as I finish this, the start of Day Three is just a few hours away. "The impeachment proceedings would have already started if congressional Republicans weren’t colluding with Trump to obstruct justice." Read the rest. It's massive, sobering, true, and unapologetic. If you search in this blog with the word "diamond", you'll find that I've written a few posts about diamonds, particularly big ones. Ever since a young age I've had a fascination for gemstones, particularly large ones, and the history of large diamonds has been interesting to me. That's one reason that I'm curious if they'll be able to cut one of the new large white diamonds recently discovered into a gem larger than the Cullinan I in the scepter of the British Crown Jewels. But it's not all about size and value. Part of the fascination is their rarity, and how they are formed, deep in the Earth (under a lot of pressure, of course). Well, science has now determined where and how deep the very rare blue diamonds are formed. As you might expect, it's very deep in the Earth's subsurface layers. Rather than try to explain, I'll link to an article and excerpt from it. If you're curious, the blue color comes from traces of boron. So where are they formed, you must be wondering? "Over the course of hundreds of millions to billions of years, the seafloor absorbs boron. As the floor becomes older and colder, it eventually becomes denser than the mantle beneath it and sinks. 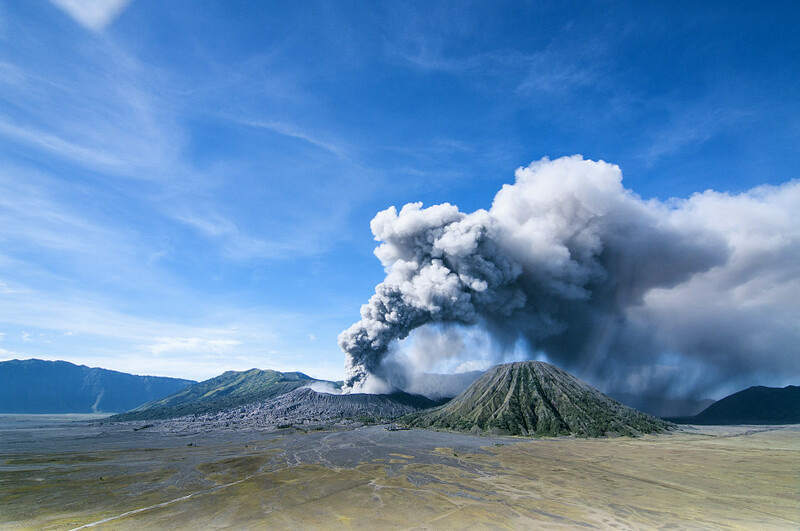 “It’s like a continuous conveyor belt that just keeps going for hundreds of millions of years,” says Lars Stixrude, head of Earth sciences at University College London who was not involved in the research. The boron, encompassed by rock that protects the mineral from the mantle’s high pressure and heat, continues on its path hundreds of miles downward until it reaches the lower mantle. There, the environment has such intense levels of heat and pressure that it melts boron’s protective rock sheath. Here in this deep-Earth pressure cooker, blue diamonds form. The process can take hundreds of millions of years—and that does not include the hundreds of millions of years the diamonds take to travel to the surface via volcano-like burrows called kimberlites (known to most as mines)." So that's how. Now that we've settled that, let's have a little fun. 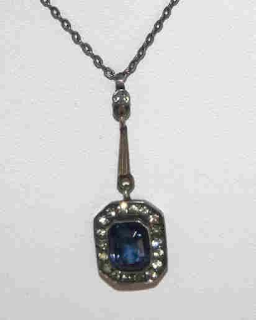 The blue diamond shown above, called "The Heart of the Ocean", was featured in the movie Titanic. It is not real. Kate Winslet, luckily and happily, certainly is. What you may not know is that there really was an expensive blue diamond on a necklace on the Titanic. And it still exists. The True Story Behind Titanic's "Heart Of The Ocean" Diamond Necklace! The article doesn't say how big this blue diamond is. My guess is about 10 carats. So now you know the rest of this story. After weeks of absence from the electronic pages of the Daily Mail, Michelle Keegan is back. And since I am devoted to all things Keegan, I must make it easy for my readership to find these important articles. So let's get to it. (I stopped reading the title at "bikini".) There are 37 pictures of Mark and Michelle on this boat. Michelle is in 31 of the pictures. This is what I call first-class journalism. "The talented pair split their time between three countries - their marital home in England's Essex, Mark's place in Los Angeles, and South Africa, where Michelle filmed the bulk of her BBC military drama. Luckily Michelle is able to join Mark in Los Angeles between filming series of her TV show. 'She comes out and spends time in LA which she loves, so we just make it work,' he said. I hope it keeps working for them. First time I've ever heard of a " U-spot ". Now there's no way you can avoid reading the article, right?